Victory! 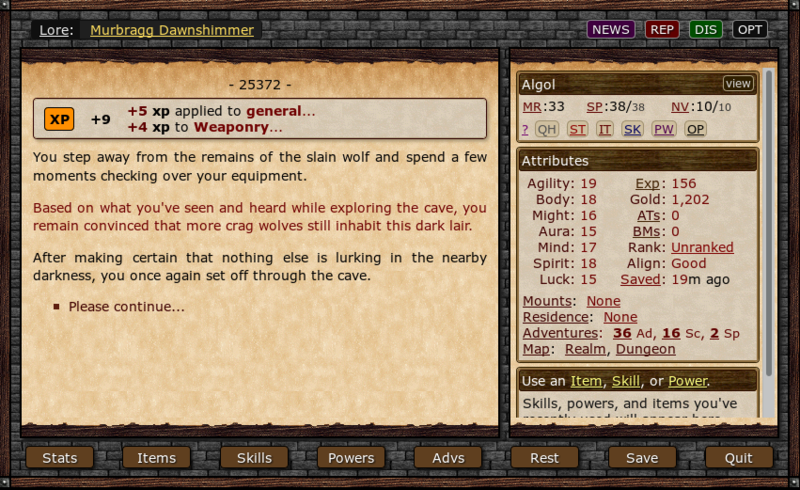 - Algol has slain the crag wolf that attacked him! After catching his breath, he'll resume his wary exploration of the gloom-filled cave.